Finally, a good intellectual challenge! 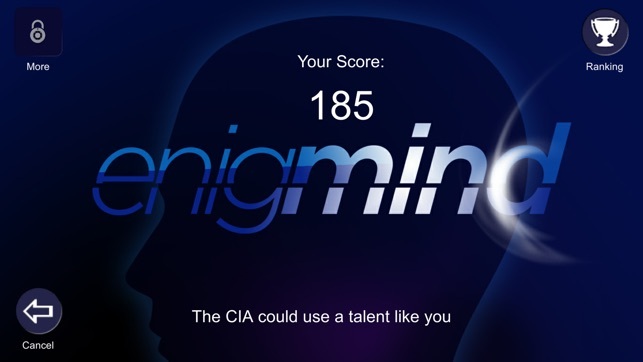 Simple, yet intriguing, Enigmind was created for people that can make non-obvious connections and that are naturally curious about the world. 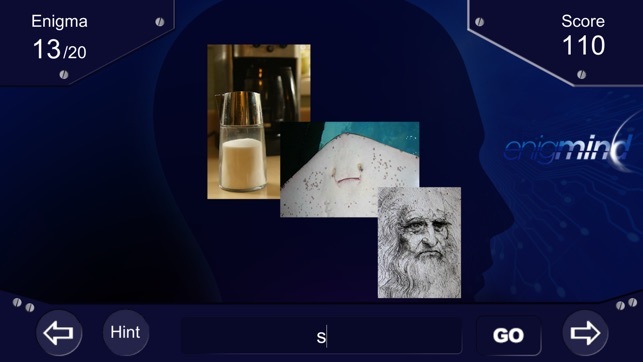 While other puzzle games are designed to challenge just your I.Q. (or persistence), this game is for the ones who love reading, watching movies, and are always eager to learn something new. Inside these people's beautiful minds, associations between ideas and information happen - and that's what Enigmind is all about. 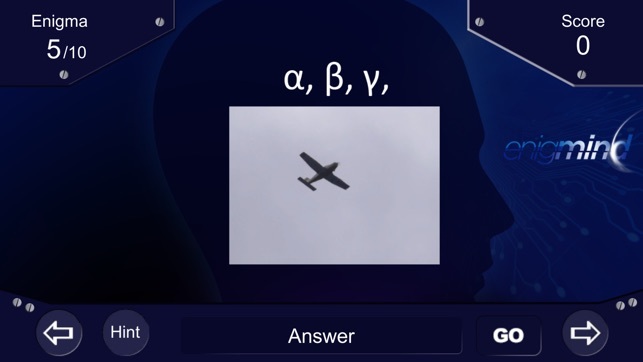 And the real fun is not about "knowing everything," it's about the pleasure of putting your brain to work, learn something online, come back to the puzzle, until Eureka! You got it right. 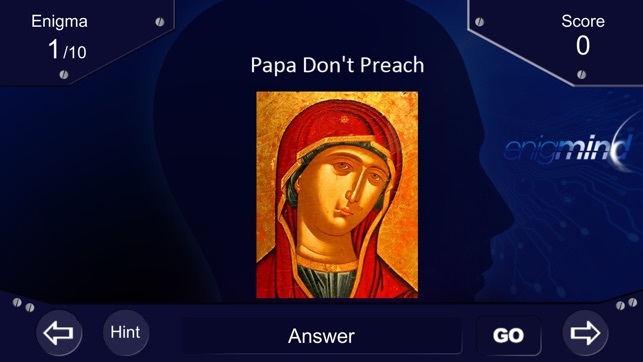 As you go through the different enigmas, you can ask for a hint to help you move forward – but it will hurt your final score if you care to compare it with other players. 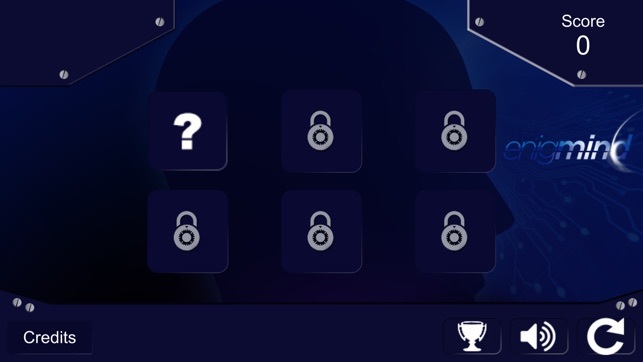 As you get enigmas right, you can unlock new ones to play. 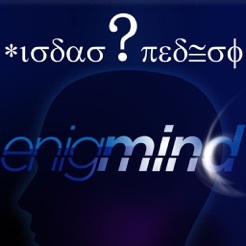 If you got stuck on an enigma, or have any feedback, please visit our site at www.enimind.net and send us a message, we will be happy to get in touch with you! Combination of family time with play time adding the fun of the challenge.